For the past couple years, I have thought of myself primarily as a “telephoto” landscape photographer. A majority of scenes that catch my attention look best with a telephoto lens, and I tend to keep a 105mm or 70-200mm on my camera most of the time. However, a recent trip to Zion and Death Valley National Parks changed my mind. On one hand, it seems that I don’t use “normal” focal lengths – 35mm and 50mm – very much at all. More interestingly, though, was the switch from telephotos to wide-angles. As much as I favored a 105mm in Iceland, I preferred the 20mm even more in the American Southwest. So, what’s going on? Iceland and the American Southwest are vastly different places. Aside from the incredible amount of wind in both places – at least when I went – the landscapes themselves could hardly be less alike. One is icy and dark, while the other is bright and orange. The sweeping lines of the American Southwest have no parallel in Iceland’s gravel-filled, ever-changing landscape. Both, of course, are amazingly beautiful. Wide-angle lenses, by exaggerating the relative size of nearby objects, are conducive to photographs with a dramatic foreground. The sweeping rock formations of Zion were perfect for this purpose, offering leading lines that swept through the frame. Nearly every inch of Zion’s winding rocks could be used as a foreground, which offers a strong case for wide angle lenses. Does that mean that Iceland doesn’t have interesting foregrounds available? Not at all. 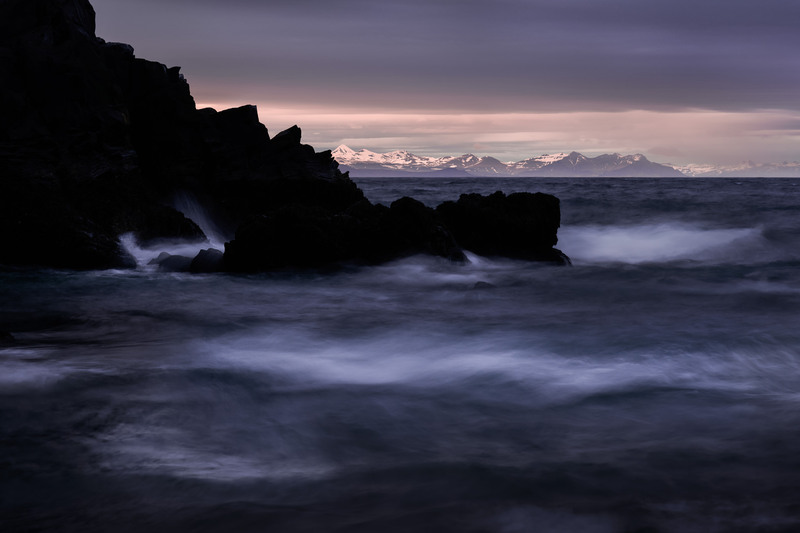 Although I would argue that there are not as many, foreground elements certainly exist in Iceland’s landscape as well. From melting icebergs to streams of water, several Icelandic landscapes provide a way to anchor your composition. However, in many places, Iceland is covered with patches of moss intertwined with black gravel. Unless you want an ambiguous rock – or a man-made road – to sit at the base of a photo, it can be difficult to find an adequate foreground. 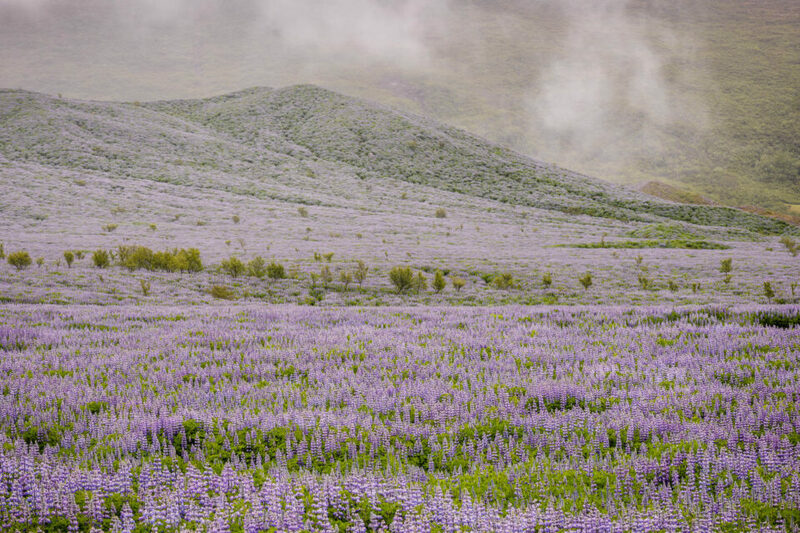 At the same time, many of Iceland’s landscapes were far in the distance. As much as I wanted to hike to every distant waterfall, it wasn’t always possible. However, Iceland’s relatively empty landscape meant that it was easy to photograph distant objects without being blocked by anything in the foreground; I simply needed to switch to a telephoto lens. Zion, by contrast, was filled with narrow canyons and winding rivers. These almost necessitated a wide angle; the landscape is so close that a telephoto lens wouldn’t do any good. Without a wide angle lens, there was no easy way to show the sweeping lines of rock. Very few landscapes were distant enough that they warranted a telephoto. I photographed Zion more than eight months after I went to Iceland. Eight months is nothing trivial; in that time, I overhauled my set of lenses and spent far more time practicing composition. So, could it simply be the stretch of time that led me to favor some lenses over others? Although it certainly is possible, I would be surprised if the differences are entirely due to a change in my personal approach to landscape photography. I have favored a similar style of lighting and contrast, as well as post-production, for quite a while; these didn’t change significantly following my trip to Zion. Most of my stylistic choices have remained fairly constant. However, one change that I did notice in the American Southwest was my growing tendency to take vertical photographs. Only a tiny handful of my photos from Iceland were taken vertically – and even those were mostly to be stitched into horizontal panoramas. In Zion and Death Valley, by contrast, almost a third of my images were vertical (including three of the four in this article). That is a pretty significant change. In part, of course, that change is due to the landscape itself. 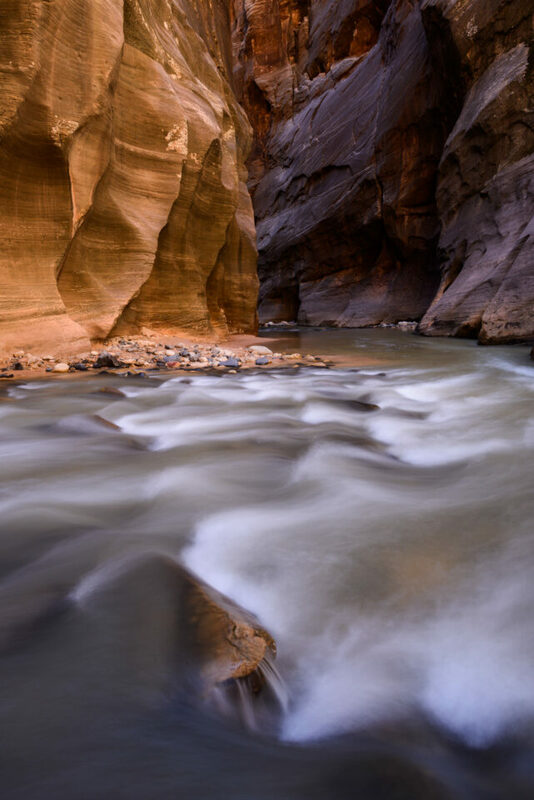 Vertical images can show a larger foreground, which makes them perfect for places like Zion and Death Valley. However, this doesn’t account for all of the differences. Some areas of Iceland, such as Jökulsárlón beach, are well-known for their incredible foregrounds. However, although I spent three days at Jökulsárlón – primarily using my wide lens – I didn’t take a single vertical photograph while I was there. So, perhaps the result would be different if I visited Iceland again today. I certainly have changed in many ways as a photographer, and I wouldn’t be surprised to see old subjects from a different perspective. However, even given my changed mindset on vertical photographs, I still believe that the most significant difference between Zion and Iceland was in the landscape itself. For several years, the widest lens I had used was a 17-55mm lens on my D7000 (which is around a 26mm full-frame equivalent). Before that, I used my 105mm lens, also on the D7000, for nearly a year, never swapping to anything wider. I only moved to full frame a year ago, and I haven’t had the 20mm f/1.8 for more than six months. All this is to say that my personal experience is not particularly normal. In some sense, there is no “normal” path that photographers tend to take. You may have a single 28-300mm lens, or you could have a set of primes stretching from 15mm to 500mm. And, no matter your kit, it is almost impossible to avoid feeling preferences for certain focal lengths over others. The key is to recognize the biases that you have and try to ensure that they aren’t getting in the way of taking good photos. At the beginning of this article, for example, I mentioned that I rarely use “normal” focal lengths, such as 35mm or 50mm. Although this certainly was true in Iceland and Zion, who says it will be the case anywhere else? If I get into the wrong mindset from this information, I very likely will overlook incredible photos. This effect seems particularly true with zoom lenses. Say, for instance, that you have a 24-70mm zoom. At one location, you may take every photo at 24mm. Somewhere else, you may shoot several photos zoomed in to 70mm. The danger, then, is that you begin seeing yourself as a photographer who doesn’t like or isn’t good at taking pictures with the in-between focal lengths. That puts you in a self-fulfilling cycle, and the variety of your photos will suffer as a result. So, no matter your specific situation, be aware of the mindset that you bring to the field. If you see yourself as a wide-angle photographer, remember to carry along a telephoto lens. Or, if you always use a 70-200, be sure that you are aware of ultra-wide possibilities. It is easy to get caught up with the focal length that you are using at a given moment – or the focal length that you tend to use – but that doesn’t make it the best possible way to photograph a scene. Each time that you take a picture, you should thoughtfully consider the variables at play. Everything from your camera settings to your composition is important to consider, and it is likely that you do think about these things as you take pictures. But, if you find yourself using the same focal length even at completely different landscapes, you may be overlooking other possibilities. There is nothing wrong with having a favorite focal length. I’m still partial to my 105mm, and many of history’s famous photographers shot solely with a 35mm or a 50mm lens. The important point, though, is to make sure that you think consciously about your choice of lens before taking a picture. If you use your favorite focal length without an active reason, you may be missing out on better photographs. 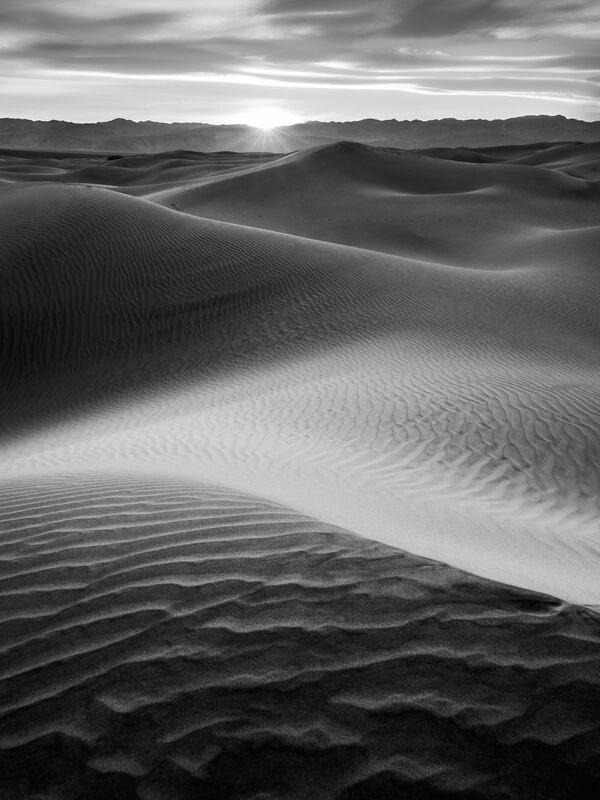 That certainly was true for me; a lingering “telephoto mindset” cost me some early wide-angle photographs in Death Valley. My takeaway, then, is the importance of picking a focal length on a case-by-case basis. It can be tempting to stick to one particular focal length – particularly one that you find comfortable – but that approach can limit your frame of mind. A given lens may shine in the Smoky Mountains, yet be completely unusable in the Pacific Northwest. Photographers always want to take the best possible pictures at a location, and our biases sometimes get in the way of that goal. By making conscious decisions about every aspect of an image, you can ensure that your photographs are as good as possible. The simple reason why lenses are so important is that they have the power to alter your compositions dramatically — far more than any other piece of camera equipment. When you select a lens, you are really selecting a composition. If you found this article to be valuable, the good news is that you can dive much deeper into the world of lenses and composition, as well as creative photography in general. Specifically, I strongly recommend our eBook, “Creative Landscape Photography: Light, Vision, and Composition” if you’re trying to take your skills as far as possible. Frankly, eBooks in general don’t have a good reputation, but I hope that you’ll give this one a chance and see what it has to offer. Every bit of information it contains is designed to be as accurate and tangible as possible, in a field where accurate and tangible tips can be remarkably difficult to find. The tendency to favor telephoto lenses in our younger age might have something to do with what we could call a “paparazzi’s syndrome.” The ability to gather things in the distance, to bring them nearer, to make them bigger, to be nosy as an intruder—all that relates to a sense of power, sort of. Whereas with a wide angle lens we must be ready to let things go, and see them escape us, which might induce a sense of loss. In addition to that, using a wide angle lens is more difficult than a normal or small telephoto one. I trust you have some kind of evidence to substantiate the claim that younger photographers favour telephoto lenses. If anything, I suspect the opposite might be closer the truth, not least because they are less likely to be able to afford them. ..”Sense of power..to be nosey as an intruder”? The most favoured tool of the paprazzi is the ‘in your face’ wideangle lens and the the only ‘sense of loss’ induced is that of privacy and personal space. You clearly have never used a 500mm/600mm lens. Better still, try one with a teleconverter. Thanks, Betty, I definitely agree with you. I think that many beginning landscape photographers are especially interested in wide angle lenses. Back when my only lens was an 18-55, I wanted a wide angle much more than I wanted a telephoto! I’ve never used more than a 600mm, except when I add a teleconverter to it, and fix it to an APS-C body. Useless to say I would gladly use your 800mm, should you lend it to me… But I don’t see your point anyway: I took the trouble to mention a “small” telephoto? As to your own paparazzi experience, so much the better. In Europe, they tend to perch on trees and peek into celebrities’ private homes or swimming-pools. Please correct me if I’m wrong again: are they better off, would you say, with a telephoto or a wide angle? OK, I accept you were indulging in idle speculation, but your assertion that young people have a tendency to favour telephoto lenses simply has no foundation. The word ‘might’ was used in the context of paparazzi syndrome, not whether young people favour telephoto lenses. Whether it’s a long or a small/short telephoto is of no consequence. A wide angle is almost always easier to use than any telephoto if for no other reason than it is easier to keep camera shake under control. Easier from a purely technical point of view. Composition may be another story. Why would you rebuke someone for sharing their thoughts and give your grade as merely speculation when you do the same? Show me a study that says wide angle shots are “almost always easier” to use than any telephoto? What a troll. There was no rebuke, there was an exchange of opinions. Opinions are not facts and therefore open to challenge. We disagreed. So what. As for wide angles being generally easier to use than telephotos, that too, is an opinion, but in my opinion, handholding a long tele is more difficult than handholding a wideangle because magnification of camera shake, combined with the greater size, weight and unwieldiness, is orders of magnitude greater with a tele than a wide angle. Calling someone a troll for expressing an opinion is the last refuge of someone with nothing coherent to say. Don’t worry mate, some of us feel the urge the play devil’s advocate whenever given the chance. This urge is strong with Betty, who seems to think the rest of us welcome her guidance into her rigid line of thinking. Devil’s advocacy is a good thing. It challenges woolly thinking and stimulates discussion. As for guidance, it’s only rigid on matters of evidence based science, the rest is just opinion. Thanks for the comment, Jean-Daniel. I do think that wide angles can be difficult to use, although they also have the issue of making distant subjects appear comparatively small. In a place like Iceland, where so many landscapes were in the distance, this just wasn’t feasible. Nice article. Have had the same phenomenon with lens use. Also take a lot of Verticals, as I like to keep foreground and horizon in the same image. Also V is good with macros, of which I shoot many. Your 20mm photos reminded me to put that lens on my shopping list. Journalism? That was my college major too, at Cal Poly, where I took Photo courses too. But why switch from Engineering with more opportunity for $$? Looks like the classic left-brain/right-brain montage. Thank you, Art, very interesting! I’ve never really tried vertical macro shots — I need to get out and take some. As for the switch to journalism, it is difficult to pinpoint a reason. My interests simply have begun to change, and I think that writing for Photography Life played a role. Photography Life: changing photography one life at a time! Spencer, work hard at what you love and enjoy the journey. Thank you, Bobi, your comment made my day! On aps-c: Tokina 11-20 + nikon 70-300. NO REGRETS. Really lightweight. That sounds like a great combo, Sam. I shot nearly all my shots with the 20mm and 70-200mm combo, and that worked incredibly well. Seems like the combo you mentioned is a good parallel for DX cameras. It’s interesting that you have had a penchant for using a telephoto for landscape photography. I too, love the way a telephoto can isolate fragments of a landscape, create compression and simplify the elements of a composition. I was taken to task by one or two people whose broad minded view was that only wide angles (well perhaps up to 100mm at a pinch) were suitable for landscape photography. I take the view that any lens is suitable for any subject – provided you can come up with a worthwhile image. I agree — it is far better to choose a lens for a given subject rather than default to a wide angle. Telephoto lenses don’t have the same reputation for landscape photography as do wide angles, but I have never known a landscape photographer without one in their bag. Isolation and compression are definitely part of the equation. I also like the added scale that telephotos bring to a distant landscape, which is impossible to achieve with a wide angle. Thanks for your comments. Hi, very interesting article, thanks. This may sound strange, but it is not the lens that I think about, it is the focal length needed for the shot I have in mind. If I have a wide on and cannot isolate my subject, I have to move, or change the lens, likewise, if I have a telephoto which doesn’t zoom out far enough to include a broader view, and include a foreground object of interest, I change to a wide angle. Often I shoot with a medium to wide telephoto in the range 18 – 100(ish) which certainly covers a great deal of the focal range needed, but not all of it, all of the time. Once the choice is made, the club is pulled out of the bag, and the focus is entirely on the play. So it should be for landscape, as the scene in front of you makes its demands, and you respond with what you think is the right focal length, and then, fit the lens which contains that focal length, and, take the shot. (assuming zoom lenses in the kit here, but it works for primes too, but with less flexibility – unless you own, and carry with you all the time, an enormous selection of them). The most valuable thing I see in your article is that landscape photographers do not simply get a camera, and a wide angle lens, and go off shooting. Quite the opposite. The great variation in natural subjects in a landscape, from location to location, places a demand for a full set of lenses, with maybe a prime or two in there at the most popular (for you) focal length. Having got the lenses, you must be ready to take them all with you. Without the full set, you are inevitably going to find yourself in a particular place, cursing that you have the perfect lens for THIS shot, but the lens is sitting in a spare camera bag at home, as you chose not to bring it on this trip! Ouch! It is not easy toting a full range of lenses around, and you should have some kind of tripod with you, and maybe a spare body, batteries, cable or remote release, filters, and maybe a hot drink and a snack for those longer walks. Not easy at all, especially on terrain which is rocky, undulating, wet, or worse, slippery. That said, I have found, even after research, that I get to a location after a decent walk, and the light is all wrong, and won’t improve as the sun moves east to west, making it worse. There have been other times where I am less than 60 seconds away from my car and encounter a scene to die for, with perfect light, and I haven’t even got my boots muddy. That is the attraction of landscape shooting for me, it is always a surprise or a disappointment, but that is what the hobby is all about. Summer is knocking on the door here in the UK so I am hoping the weather will be kinder to us than it was in 2015 and a lot more trips to the coast and the hills of Wales will be on the cards for me this time around. There is no such thing as a ‘landscape lens’. A landscape lens is the one that can capture your interpretation of a scene. Alternatively, a landscape lens is the one you have with you at the time! For a while, perhaps six months, the only lens that I owned was my 105mm. I mostly used it for macro photos, but I came to the same conclusion as you — the best landscape lens is the one on your camera when the light is good! Thank you, Ross, very interesting comments. You are quite right — it all depends upon the shot you have in mind. You can’t make the most of a scene if you use a given lens (or focal length) indiscriminately. Every scene should be photographed for its own merits. Your comment seems very logical / straightforward. If use a golf analogy I end up with a oposite conclusion. I consider myself both a golf and photography enthusiast (read “nut”). As a quick follow, the golf analogy is better than I first considered. Example. One of the best ways to improve your photography is to limit your kit for the day to 1 maybe 2 lenses. Similarly, one of the best ways to improve your golf is to play a round of golf with only a 1 I or 2 of clubs (and a putter). In both cases this is meant to simply and it allows you to focus on taking the pictures or playing the game creatively. Hi Mark L, yes, the analogy I gave applies to most of us who play a mediocre game of golf, or are non players using that perception. As we have seen in the Masters and other International Golf Tournaments, whatever the player ‘planned’ to use your analogy, doesn’t always work out in practice. When the plan goes awry, then you have to make a new plan. That being true, I agree with you fully that sometimes it is helpful to get out there with just one lens, so that you can become more flexible within yourself, but also learn a lot more about that lens, in practice. In fact, if you are new to photography, you may only have one lens anyway, so this is helpful when it comes to the time when you are considering buying a second lens. Hopefully by then you will have a better idea of what kind of focal length you are missing most. What I tend to do a lot now is to put all my lenses into a backpack photo bag, in the boot (trunk) of the car, and use a smaller second bag for my walking, transferring a lens or two onto the camera, and into the shoulder bag before securing the remainder in the car. 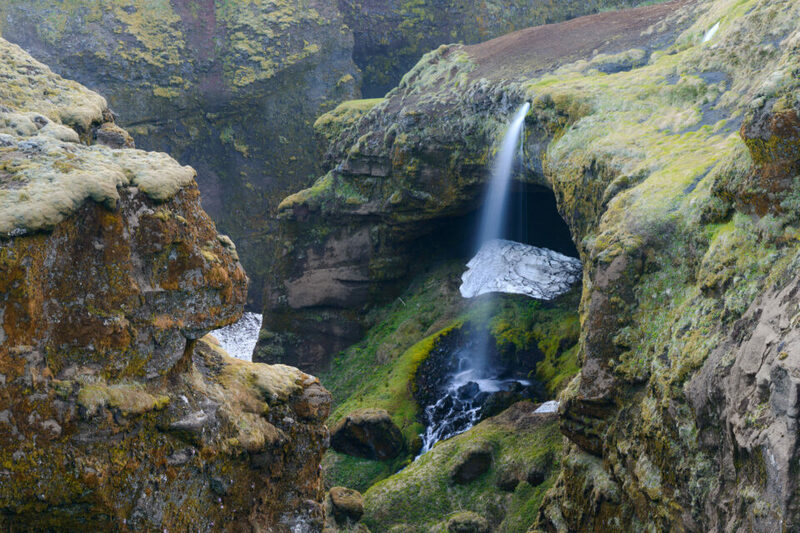 I find it interesting that you distinguish a 105 (Iceland) from a 70-200 (Southwest) as your “telephoto” lens of choice. I, too, have both, but prefer to pack the 70-200 for its versatility rather than the 105 (typically left in my studio for close up and macro work). I’m interested in your thoughts on that. It’s really the macro ability that leads me to prefer the 105mm. On a landscape-only trip, like Zion and Death Valley, I wouldn’t (and didn’t) bring the 105mm. I went to Iceland before I had bought the 70-200. However, if I had to keep only one lens in my arsenal, the 105mm would be my choice. I have owned a Sigma 105mm, the latest OS version, for over a year now. Like you, for quite some time, I considered it a macro only lens, ignoring the fact it focuses all the way from 1:1 Macro to Infinity. I got an unexpected afternoon off about the middle of autumn (the fall) and decided to make use of the weather for a bit of walking and landscape shooting. I forgot that I had this lens on my camera when set off, and out of curiosity when I was out, tried shooting with it. It would be hard to say a difference is particularly noticeable at normal enlargement sizes, but when you approach 130% in photoshop etc, you can see the basic images are sharper than a zoom. However, the focal length is fixed, and this makes it very inflexible for walkabout landscape shooting for obvious reasons. That said, if you have a situation where you are shooting at or near 100mm, and have one of these lenses available, there is no doubt that you should use it instead. As always, this is qualified by the intended end use of the images. If not going beyond 10×8 then there is not a lot of point to using such an optic. If there is a possibility that some of the images are going large, then, that is another matter. I would definitely suggest you take that lens out with you next time you’re on a landscape shoot, I discovered this by accident, normally, like yourself, the lens was for indoor use, or if outdoors, restricted to macro only! Lovely photos. I’m interested in your choice of 105mm when you use a prime. What 105mm do you use? Thank you, Geoff! I use the Nikon 105mm f/2.8 VR macro. It’s really my “favorite” lens because of the landscape/macro crossover, but I’ve always enjoyed using it. Glad to say that by the time I was ready to purchase, the price had dropped from around £640 to under £350, while the Nikkor remained constant at about £560 so my choice was more or less made up for me. Anyone considering a lens of this calibre for macro should be aware, as Spencer points out, that it is a superb lens for some kinds of landscape work too. They have no zoom, but reward you with a brighter viewfinder at f/2.8, and being a superior class of optic, regardless of brand, they offer a very flat field image with almost no distortion at all. When I correct other lens distortions (using DXO Optics Pro) the images ‘snap’ to the correction, but images from the macro lens move imperceptibly, so good is the quality of the optics. Same goes for sharpness, obviously, and also bokeh, CA and contrast. If you have the interest, money, and need for an optic of this kind, which doubles as an amazing macro lens too, you should spring for one. A word of warning though, the same cannot be said of all macro lenses of a shorter focal length. I have seen some quite disappointing reviews of some 60mm macro lenses, so if you are looking at shorter focal lengths, do a bit of research before you buy. This surprises me greatly. A prime lens is far easier for a manufacturer to correct than a zoom. I know the tamron 90mm macro had a touch of CA in the corners when fully open but not across the whole image, and for macro, that isn’t such an issue as the corners tend to contain bokeh images, the main subject being in the centre. That was an old lens though, and I certainy don’t see any issues with CA in the Sigma (the latest model) though I do confess that I never use it wide open for macro, for depth of field reasons, and for landscape, for much the same reasons, even though it is an f/2.8 lens. Maybe my use of the lens, at typically f/5.6 – f/16 negates any CA that it has. As to de-centereing, I have owned the older Tamron, and this Sigma, and neither of them had that issue for sure, I am a bit startled at your claim that the genre of these lenses are worse than cheap zooms or old M42 lenses. Not the case in my experience, but maybe you have had a bad copy of whatever lenses you are talking about? Quality control has been an issue with Sigma in the past, and Tamron if anything have been a little bit worse on that. Did you return these lenses for refund? The main problems are lateral CA’s + decentering which aren’t solved by stopping down. It seems that lateral CAs are growing with narrowing of aperture in 105 VR which is a problem for a macro lens (some of reviews confirm this behaviour), especially at macro distances, plus it’s noticeable that off-center resolution is poor due to lateral CAs (even at f16-22 effective apertures, which are diffraction-limited, so, before 105VR, I thought that it’s OK, for any lens, to show uniform resolution at narrow apertures…). Old Tamron 272E (which I own, too) is another league in terms of lateral CA at macro distances compared to 105 VR (272E -zero, 105VR- huge). Yes, 272E’s axial CA’s performance at normal distances is poor, but it is not a big problem for a macro lens, plus 272E has some bonus, which I’ll cover later. Sigma 105 OS, which, at first, I wasn’t even considering for purchase, proved brilliant performance in terms of image quality (I’ve checked 3 105 OS’s, and compared 2 of them, so, between these two 105 OS samples, there is less CA/Resolution difference at 36mp FF frame border with 1.4x Kenko TC, than between 105 VR’s near the image center w/o 1.4TC! The actual difference in resolution/axial CAs in 2 105 OS samples was mostly due 1/4-1/3 stop aperture errors:) ). Yes, the difference between 105 OS and 105 VR copies that I’ve tested was very noticeable. I am talking about near 1:1 performance at optimal/diffraction limited apertures, so 105 VR performance was very dissapointing for me. Notice – If you’re planning for higher than 1:1 magnifications, it seems that modern Internal Focusing macro lenses(105 OS included) are suffering from extension tubes, but (!) the old 272E isn’t, so, it has big advantages for higher than 1:1 macro with extension tubes. The only way to get at least 1.4:1 with 105 OS is to use TC. I’ve tried original Sigma 1.4x TC and it is super-duper smart, so it electronically cancels AF operation at closer focusing distances(((. Kenko 1.4x is free of such limitation so I can get fully working AF at 1.4:1 with decent accuracy (I was getting flying hoverfly’s facets with less capable body and 1.4TC+100/2.8 combo, so this summer I hope I’ll be replicating these shots with Sigma and 36mp FF). It’s true that you can take great photos with any equipment, especially nowadays — the quality of entry-level equipment is just wonderful. Good article. I really am starting to love wide and UWA lenses for a lot of uses. Landscape and night photography are not my strong points. I am finally trying to improve at both (again, in terms of landscape) and I really never used anything wider then 24mm on full frame. Then I switched to DX and the widest I was shooting for sometime was 27mm equivalent. Finally, because I loved the “bobblehead” effect for pets that UWA lenses help create, I decided to buy a Tokina 11-16 for Nikon. Further, I also purchased an Olympus 7-14mm 2.8 so I could take similar shots on that platform. I am finding for pet photography that nearly 20% of my shots are using one of these lenses. I just love what you can do with them! I also just started exploring what they can do for landscape photography. I am really looking forward to the possibilities these open up. Who knows, if I really work at it I can reach a point where I am reasonably satisfied with my results! I really appreciate your photography skills and dedication to landscape photography. As much as I thought my early work with portrait photography and lighting helped every part of my photography career / experience, I believe that the pursuit of mastering landscape photography is the best way to learn composition. Of course, that is my perspective now, because I didn’t really realize it then. Instead of really branching out and exploring I stuck to what I knew best. Experience has taught me to take on your weaknesses as a way of improving your strengths. I am convinced that if you can master landscape photography you can master any form much more quickly…and you are well on your way. Keep up the good work and the great articles. I think there is a common progression for many photographers as they start out. They move from the standard kit and add a tele. It helps them to isolate a subject, fill their frame and simplify the compositions. Keeping a composition strong without distraction is much harder with a wide angle lens. Simply put Wide angle and especially ultra wide angle photography is much more complicated and it is why I think landscape photography is such a maddeningly hard challenge to find and capture the essence and beauty of places with strong compositions. Of course both can produce spectacular results. There is no right or wrong. I might even disagree with you that seeing the world at a particular focal length can provide creative freedom. By the same token, changing to less familiar focal lengths can also provide inspiration. Off to NYC. I settled on my 35mm sigma A and 24-85 Nikon on the D750 for the long weekend. With lots of street photography opportunities I suspect I will shoot mostly in the normal range. As you say. Different tools for different types of scenery. Back from NYC. Other than at the Bronx Zoo, I used the 35mm 1.4 exclusively. Having only 1 focal length to worry about was liberating and provided a burst creative freedom. I only had to worry about composition. Never missed any other piece of kit. In terms of lenses or gear, less was more this weekend. I thoroughly enjoy reading your each and every post. As a matter of fact I save most of your post for future reference . I take mostly landscape photography (Nikon D800E) and recently started nibbling into Macro photography . I mostly take my landscape photos in aperture priority mode . Would you please advise is the right way to go or I should try using “Manual Mode “. Your advise in this regards will be greatly appreciated . Thank you, Pinak, very glad that you have found my posts useful! Aperture priority mode is very useful for macro photography, but you need to use it correctly. Make sure to set a minimum shutter speed if you are using the Auto ISO mode, which is what I typically recommend. However, macro photography is best when you use a flash to light your subject. In this case, you should use manual mode almost always, with the flash in its automatic (TTL) mode.